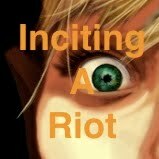 Episode 68: Inciting A Conventional Riot is a timely look at the ongoing conversation surrounding the controversy from the 2012 PantheaCon event that specifically excluded transgender women from a 'women-only' event. Special guest Sophia Catherine of the Divine Community podcast joins me to discuss the various aspects of the controversy and to provide some perspective on the issue. It should be noted: no specific conclusions or decisions, for lack of a better term, are reached in this episode. It would not be fair to make such assumptions, as all parties involved have not had a chance to speak. It should also be noted, however, that both Z. Budapest and the organizers of Pantheacon were contacted for interview and/or statement. Z. did not respond, and the one PantheaCon representative that was interested in speaking was later denied permission to speak by Glenn Turner, the head of PantheaCon. Hi Fire Lyte I'm sorry but Jamie is NOT authorized to speak for PantheaCon in an interview such as you suggest. I just got home yesterday at 4 pm and went straight to bed with a sore throat. However I would NOT be interested in an interview today or likely any day. Words can too easily be taken out of context. Perhaps in a while, once I've had some time to finish my work with the Con and my shop, I can craft a statement. Personally, I wish the organizers would actually speak to the public, and further answer questions - or at least not stop someone who is willing to speak from doing so. However, that is their prerogative. Draw your own conclusions about what their decision not to speak on the matter means about the importance they place on the controversy at hand. Please send any thoughts on these issues to IncitingARiotPodcast@gmail.com.